You make holidays in Ireland and visit Killarney and the Ring of Kerry. 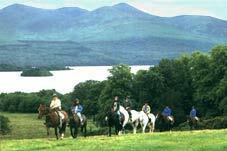 It is an unforgettable break to go horse riding through the Killarney National Park. 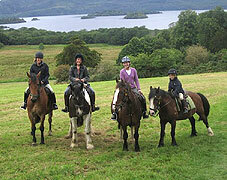 Open all year from 8am daily, Killarney Riding Stables offers Hacking, Trekking and Trail Riding into the 'Killarney National Park' for one, two and three hours. 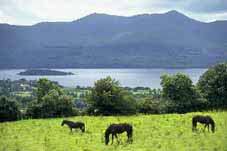 The trails go into the Knockreer Estate north of Lough Lein, (the largest of the three lakes in Killarney). Taking in stunning views of mountains, lake, flora and fauna. All groups are guided and all levels of experience catered for. 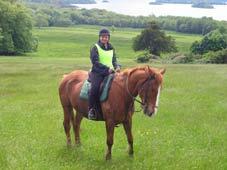 For clients who come un-equipped, we can provide riding hats and boots. Riders may be collected free of charge within a three mile radius of the centre once advance notice is given. Advance booking is required. We accept all major credit cards.